Altitude Events provide Activities and Sessions to Corporate Outdoor Events, Company Family Fun Days, Team Builds and Multi Activity Away Days from its base in East Sussex. 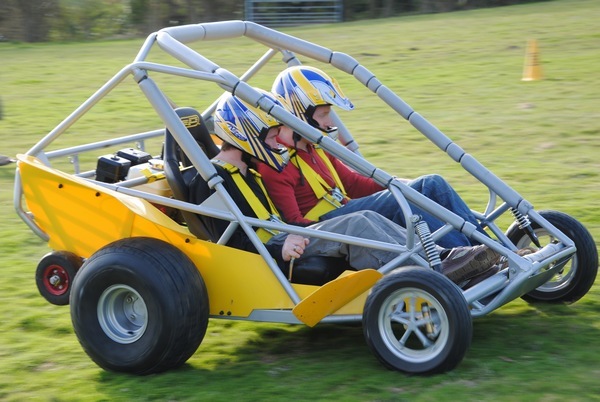 Altitude has a full range of activities available throughout the Southeast (West Sussex, Surrey, Kent, London, Hampshire, Berkshire, Essex, Buckinghamshire) and further afield. Altitude Events provide Segway Rentals, Mobile Laser Tag (like an Inflatable Laser Quest), Powerturn Off Road Buggies, Honda Pilots, Portable Rock Climbing Towers, Blindfold Jeep Driving, Reverse Steer 4x4 Driving, Archery Tuition, Laser Clay Pigeon Shooting, Inflatables, Human Table Football, Racing Simulators, Giant Scalextric, Laser Shot, Mobile Crazy Golf, Batak, Strike a Light, Dance Mats, Grab a Grand Cash Grabber, Digital Graffiti Wall, Pub Games, Nintendo Wii and Xbox Kinects and much, much more. Mobile Laser Tag (Hangar 51) Our 10 lazer gun, Inflatable Laser Tag system is perfect for adults and children alike. The darkened Laser Quest inflatable is filled with swirling fog allowing the Laser beams from the guns to show up. Points are scored by shooting an opponents laser gun and lost when your own gun is hit. The Mobile Laser Quest comes complete with fully trained staff and can also be referred to as Pulsar, Quasar, Laser Storm or Laserbug. Powerturn Off Road Buggies Powerturns are off road buggies with a difference… Powerturns have no steering wheels or foot pedals, plus they love to wheelie! We run the latest versions of the twin seater Powerturns and they can be driven by 2 drivers working together or individually. Blindfold Jeep Driving The driver must navigate the 4x4 around the course guided by the rest of their team - whilst wearing a blindfold! Hopefully your colleagues will know their left from their right! Reverse Steer 4x4 Driving Yes, Reverse Steer Jeep Driving really is as mad as it sounds! Turn right to turn the Jeep left and turn left to turn the Jeep right! 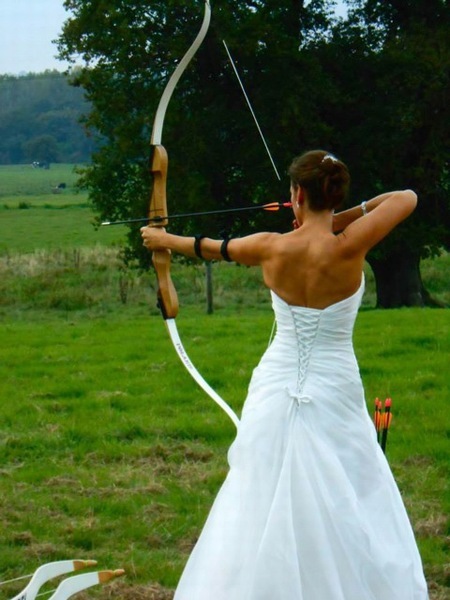 Archery Tuition Let our fully qualified Archery Instructors bring this ancient sport to your event, suitable for adults or children. After a few lessons with our experienced Archery Instructors, we will find out just who is the next Robin Hood. Laser Clay Pigeon Shooting This is an electronic version of Clay Pigeon Shooting. Up to 5 people can shoot at once under the experienced eye of an experienced instructor. The guns are real (but deactivated) 12 bore shotguns but have the advantages of being much quieter, less messy and far safer than the real thing. 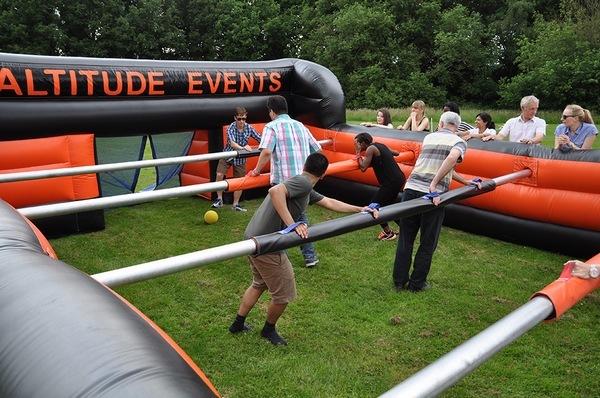 Inflatables As well as the Inflatable Laser Quest, Altitude has various other Inflatables on offer including the massive 5 a side Human Table Football which is a giant version of the popular Tabletop Football pub game. Inflatable Beach Volleyball allows you to take that dive for the ball that a landing on real (firm) ground may prevent! 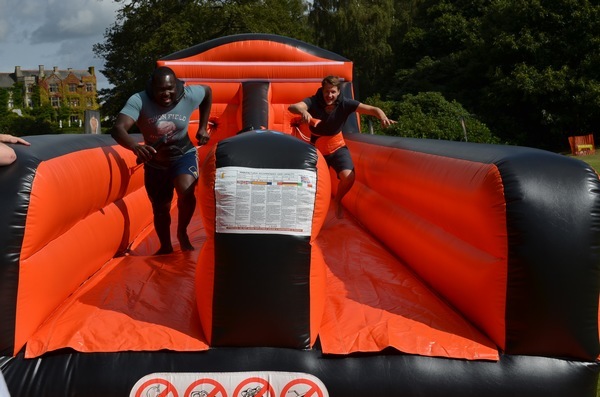 We also have the ever popular Bungee Run, Rock n Roll, Gladiator Duel, Inflatable Obstacle Course/Fun Run and Super Sumo Suits as well as Giant Garden Games, Soft Play Zone and a Bouncy Castle. Mobile Crazy Golf Our Mobile Crazy Golf course is one of the best in the Southeast and is a fantastic value for money hire activity as it can entertain so many people of widely differing ages at the same time. The course is 9 holes long and even includes everyones favourite hole - the windmill! Capable of being set up inside or out, its perfect for weddings, fundays, fetes - in fact pretty much any type of event you can think! Batak and Strike a Light Our Batak Pro and Strike a Light are electronic reaction games whereby players must touch buttons as quickly as they can once the button illuminates. The Batak Pro and Strike a Light puts you against the clock and records your score in a variety of different game modes. Warning – these are highly addictive! 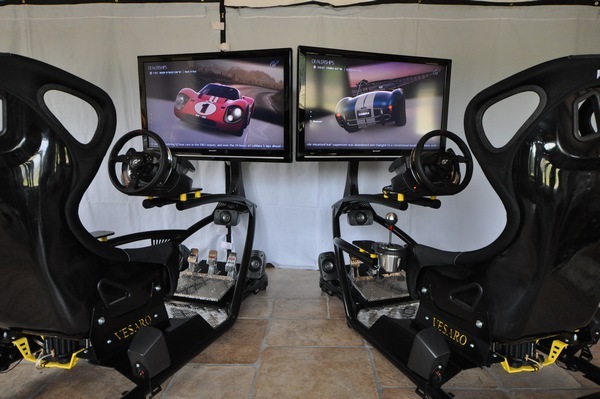 Racing Simulators Our Racing Simulators can be used for multiplayer head to head racing on F1, Rally or Sportscars. Each Simulator has a real racing seat, steering wheel, pedals, gearstick, large flat screen and onboard surround sound. 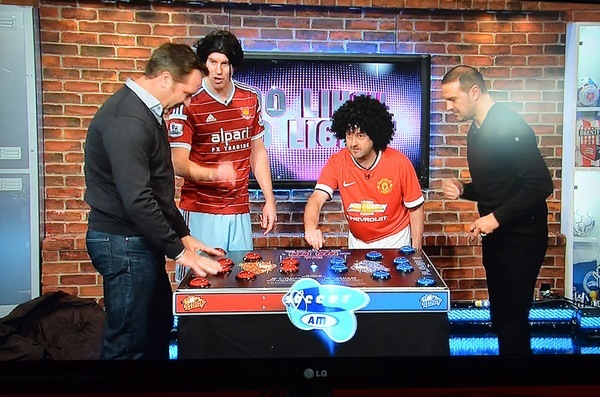 The Racing Simulators are perfect for Christmas Parties and Evening Entertainment. Giant Scalextric Our Giant Scalextrix is a 4 lane track with computerized lap counting and timing, all displayed on a flat screen monitor. 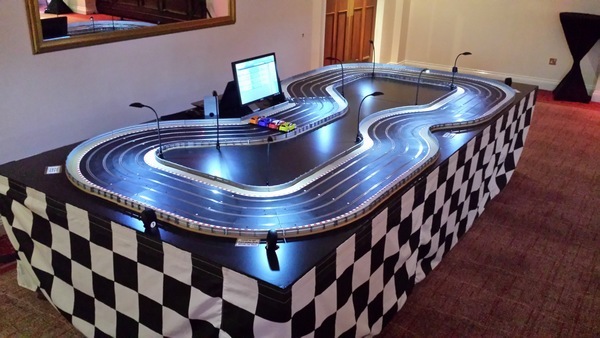 The Giant Scalextric is perfect for Christmas Parties and Evening Entertainment. Laser Shot This is an indoor Laser Shooting game with many different games to suit all themed events.. Grab a Grand Cash Grabber The Cash Grabber is perfect for use at Exhibitions, Promotions and Corporate Events..
Digital Graffiti Wall The Graffiti Wall uses electronic spray cans and markers to produce effects on a highly visual 8ft wide screen and is perfect for Exhibitions, Promotions and Marketing Events. Nintendo Wii, Xbox Kinect and Dance Mat Hire We hire both the Nintendo Wii and Xbox Kinect's complete with large screens and exhibition standard stands. These revolutionary video games are perfect entertainment for indoor and evening events for both children and adults alike. We now also have Dance Mats available to hire. Segway Hire Altitude are the longest running Segway Rental operator in the UK and have run more Segway Events than any one else around. Altitude’s entire Segway Hire fleet is made up of the latest spec off road Segways. All machines are kept like new and are hired unbranded. 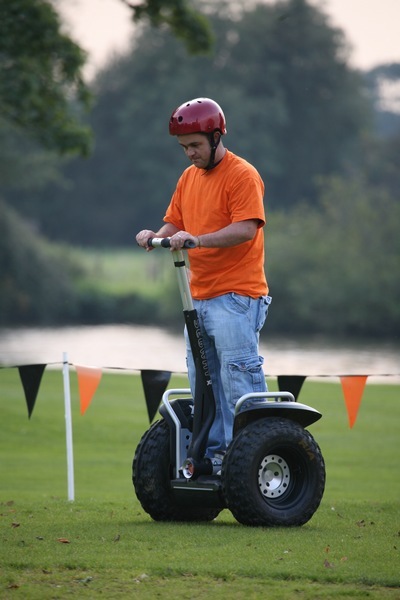 Altitude brought Segways to UK Corporate Events back in 2006 and have developed a package over the years which can be tailored to Team Builds, Multi Activity Away Days or Family Fundays. Mobile Rock Climbing Tower Altitude Events are the premier Mobile Rock Climbing Tower hire operators in the Southeast and have operated their Mobile Rock Climbing Walls at hundreds of events since 2004. The Event Attractions above have all been used on a whole variety of Events over the years including Corporate Events, Team Builds, Multi Activity Away Days, Company Family Fundays, Reward Days, Promotional Days, Country Shows, Community Events and by Schools, Scout and Guide Groups, Youth Clubs, Councils, and many, many others. All of the Activities are covered under our £5 million PLI policy with Risk Assessments. Staff are fully trained, well presented, polite, CRB/DBS checked and 1st aid trained. As Altitude Events owns the Activities and Equipment itself, this makes Altitude Events the perfect company to organise your Family Funday or Multi Activity Day. 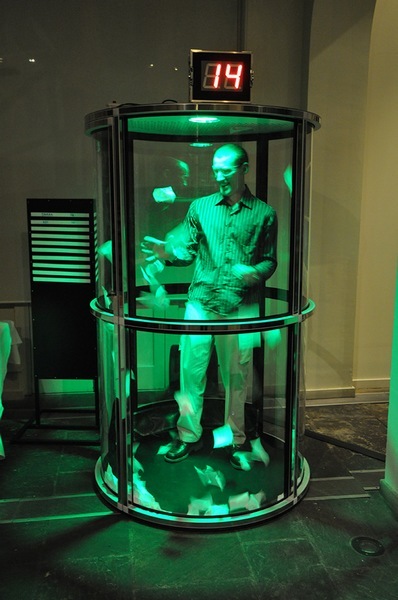 Why waste time and money going through an Agent when you can come direct to Altitude Events for all your Event needs.